English Teacher and Head Librarian, Louise Beeson, will be a Volunteer Judge again this year for this UK wide, Radio 2 competition, which involves writing a story in only 500 words. Teachers and Librarians around the country are to be given batches of stories to read and score and put through to the next round. There has been a fantastic level of entries this year. The judging panel for 2015 includes Richard Hammond, Frank Cottrell Boyce, Francesca Simon, Malorie Blackman and Charlie Higson. 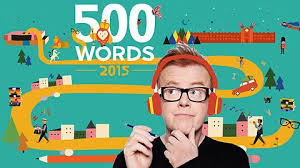 The Top 50 shortlisted entrants (25 in each age category) will be invited to attend the final at St James’s Palace, London on Friday 29th May 2015 for the live broadcast of the BBC Radio 2 Chris Evans Breakfast Show. The full names of the 6 finalists and the overall winners will be announced during this live broadcast.